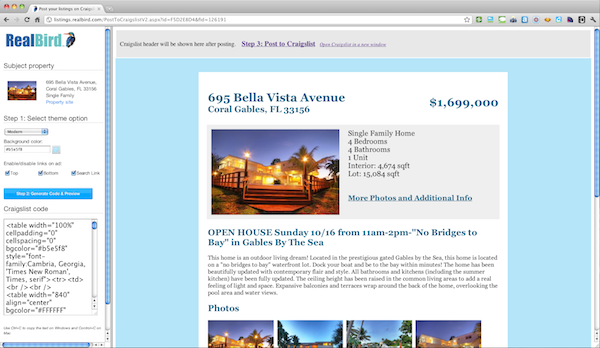 Create Craigslist ads for your real estate listing in less than a minute. The RealBird ads are beautiful and stand out from the crowd for maximum lead conversion. When you post a listing on RealBird, the Craigslist ad code is automatically generated for you and the post generator wizard will walk you through the quick steps to customize and post your listing on Craigslist.